Rubber roofing, also known as EPDM roofing, is a commercial roof coating often chosen for its durability and all-weather qualities. 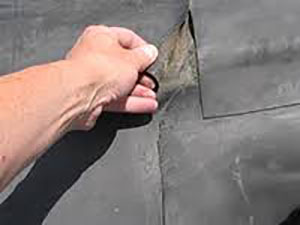 However, like any type of roof, a rubber roof will eventually develop problems. When you need rubber roof repair near Baltimore, MD, you can trust Capital Coating to get the job done right! We’ve been in business for more than 20 years and have a stellar reputation for excellence. Give us a call today at (717) 442-0979 for all your roofing needs, great and small! Whether your roof has sustained significant damage that is compromising its performance or is aging at an accelerated rate, the experts at Capital Coating can fix the problem and restore your roof to prime working condition! Give us a call today at (717) 442-0979. At Capital Coating, we have built everything we do and are upon strong values of quality workmanship and outstanding service. For more than two decades, we have been serving clients with top-quality products and commendable customer relations. We specialize in an array of commercial and industrial roofing solutions to address roof jobs of all kinds and to fix roofing problems of varying levels of severity. Whatever your needs, we have the tools and expertise to address them and do it well! No matter what your commercial roofing needs may be, the first step is always completing a proper inspection. 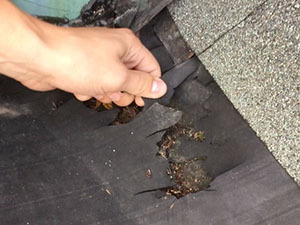 The first thing we will do at your site is thoroughly examine your roof and identify any trouble spots and developing problems. Upon completion of the inspection, we will then formulate a plan to address all problems and resolve them properly. We will provide you with a fair estimate of the work that needs to be done and find quality solutions to fit your budget and needs. When you need rubber roof repairs or have other commercial or industrial roofing needs, you can count on the team at Capital Coating. Give us a call today at (717) 442-0979 to schedule a professional roof estimate. We will pinpoint all your roof’s problems and address them using the best products, the best tools and the best techniques!